Please return often, as I am continually adding new content! I am very happy to have the opportunity to sell my photographs through this website. On the Gallery pages, if you hover over any image, you will find a BUY button or a shopping cart icon on the lower right. Clicking it allows you a few options. The metal prints are particularly lovely and make for a beautiful gift that is ready to hang. If you are ordering anything over 11x14, please first contact me and tell me the image. I want to make sure the image has the perfect resolution needed for the size you are interested in. Additionally, I will tell you about other options for prints on metal, canvas, and other surfaces. If there is something else you are interested in and you don't see it here, please contact me and I will try to help. Also notice that not all images will perfectly fit all listed sizes. In some case, you will see the option to crop an image. In many cases, cropping gives more emphasis to the subject matter. However, in the case of a landscape, you may want to try a different size to see if one size works better than another. Again, any questions, contact me. Please note that the large watermark that appears on the image will NOT appear on the final print. Unfortunately, I had a couple occasions when an image was taken from my website and used commercially without my knowledge. While I was able to stop the infringement, I was advised to include a watermark. I know it is not a complete deterrent, but it might give someone pause. The final image will include my signature in the lower right. Also, all prints are guaranteed. If you are not happy with the quality of the image, the lab will reprint it . 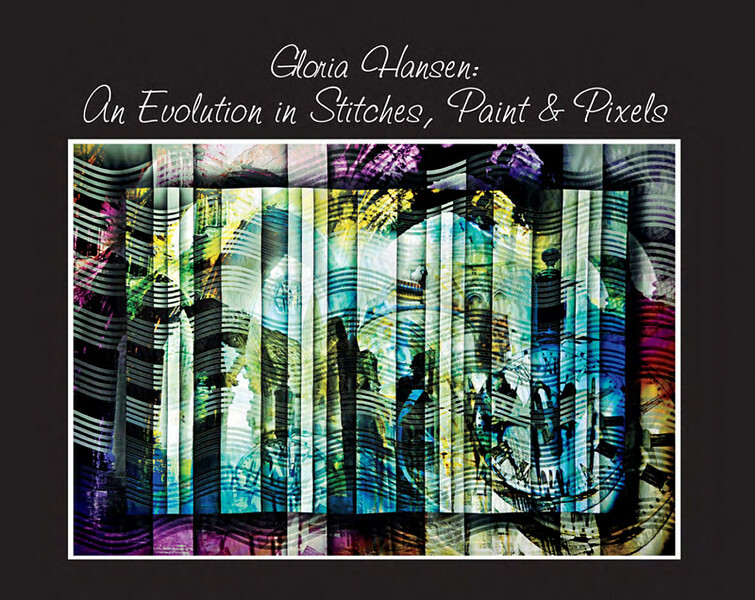 My most recent book, Gloria Hansen: An Evolution in Stitches, Paint, & Pixels is available in PDF format. You can learn more about the book here.